ARCOLA, Texas (KTRK) -- Authorities are responding to a plane that went off a runway at an airport south of the Houston city limits in Arcola. Fort Bend County Sheriff Troy Nehls says the incident happened Wednesday afternoon near FM 521 and McKeever Road. The Houston Southwest Airport is located at the intersection. The Fort Bend County Sheriff's Office said the small plane wound up in a ditch around Post Oak and McKeever next to the airport. 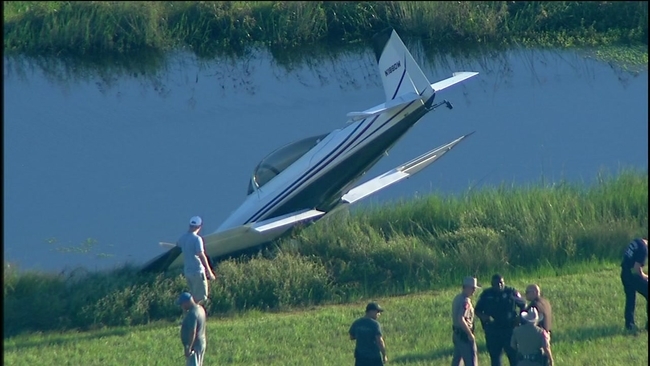 The pilot who was the only person on the plane was not injured. 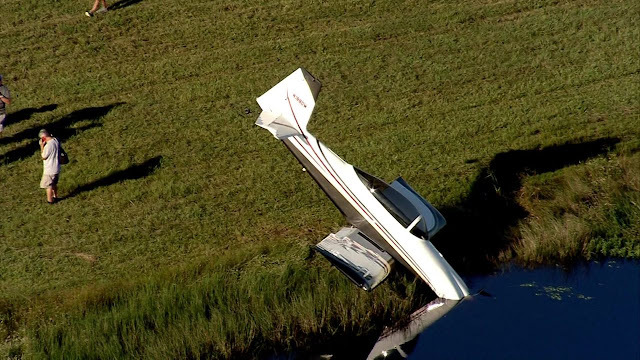 ARCOLA, Texas - A pilot walked away uninjured after crashing his small plane into a ditch in Arcola Wednesday, hours after another plane crashed near Sugar Land with three DEA agents aboard. The second crash was reported around 5 p.m. Wednesday near the area of South Post Oak Road and McKeever Boulevard. 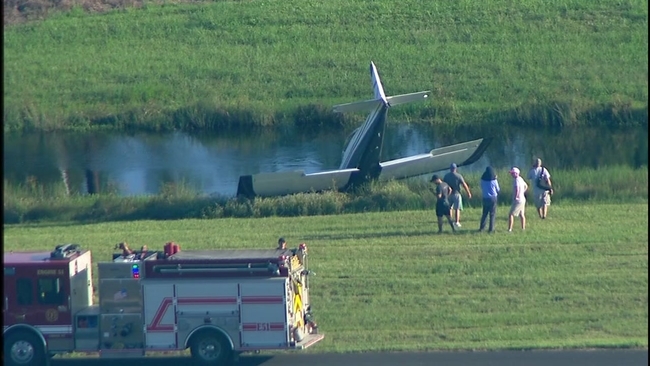 SKY 2 flew over the scene and the plane's nose was in the water of a ditch.